The Wizarding World of Harry Potter – Hogsmeade opened in June 2010, and from the very first day it has delighted theme park fans and astounded Harry Potter devotees. “Harry Potter World,” as it is called by many guests, was a $265 million expansion of Universal’s Islands of Adventure. Though not its own park, the sublime theming and immaculate attention to detail make it one of the most immersive theme-park experiences in the world. 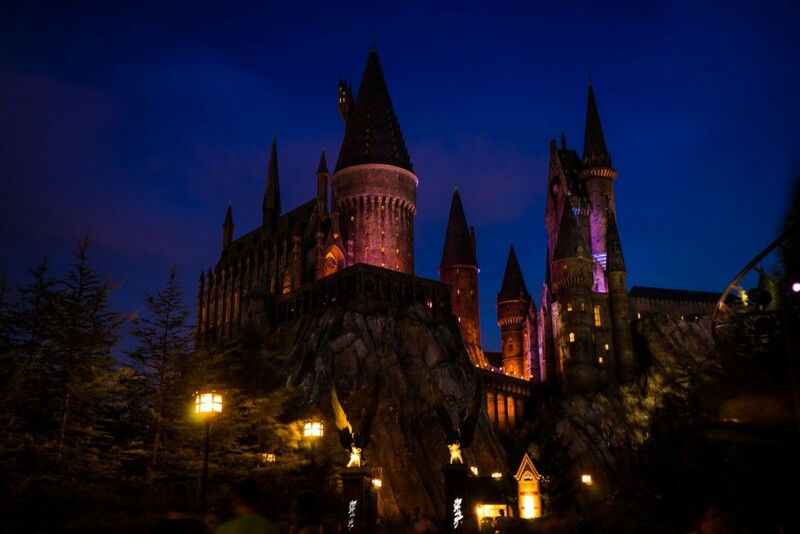 Whether guests are looking for that one-of-a-kind gift in the boutique shops, listening to the Frog Choir perform daily, or plunging into Harry’s world on Harry Potter and the Forbidden Journey, this land of wizards and witches is a sight to behold. The purpose of this section is to provide you with basic information about the individual parts of Hogsmeade, but our website offers oh-so-much more: carefully read through everything in the OI insider’s guide to The Wizarding World – which is packed with tons of insider tips, tricks, and secrets – and then be sure to check out the world-famous OI Wizarding World of Harry Potter touring plan! Now, please enjoy our HD videos and photo gallery of the sights to see around this area of the park, followed by our interactive map. When you are ready to learn more, use the navigation links at the top or bottom of the page to explore the individual attractions. Click any marker to display the attraction or venue name. To scroll or zoom, use the controls on the top-left of the map. You may also switch to different map views by using the buttons on the top-right of the map. The attractions and venues in the Wizarding World of Harry Potter have a dark blue marker.